RAM close out the year with their usual compilation of the biggest releases from this year’s catalogue, plus a few exclusives. The release features a solid selection of dancefloor D&B from RAM and sister label ProgRAM including tracks from Audio, Sub Focus, Teddy Killerz and many more, and as a pleasant bonus there’s a chunky new tune from Gerra & Stone and the VIP of Mind Vortex’s massive dancefloor roller Hotbox. Check that out below, head to Soundcloud for clips of the full selection and pick this one up from your favourite outlet now! The latest single from ProgRAM sees production trio Chroma on fine form with two crisp new rollers. 201 Dub harnesses the spirit of Jamaican dub culture for a deep, subby roller imbued with warmth, weight and an impressive clarity on the breaks. Sovereign changes things up, heading for brighter and more liquidy territory. This one’s got some really impressive break-chopping; time and effort have clearly been spent on getting the drums just right, and it shines through. 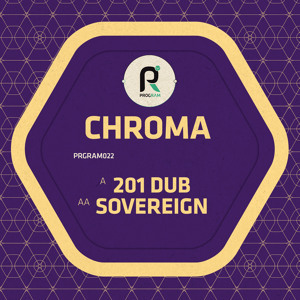 Slightly mellower business than the previous Chroma releases but no less enjoyable – check out the clips below and grab this one exclusively at Beatport now – full release following in a couple of weeks. Stealth’s latest single for RAM sister-label ProgRAM comes hot and heavy! Stylus collab Homage (Back To You) combines hefty bass and rolling breaks with an infectious vocal sample that the attentive among you may well recognise from old Evol Intent favourite The Ladies. Over on the flip Smash It amps things up even further with an absolute savage selection of bass groans set to a stomping kick/snare riddim. Subtlety is not on offer here, but if you want a big bad belter then look no further! Check out the clips below and grab this on vinyl and digital from your favourite outlet. Bulgarian producer L 33 hits the ProgRAM roster with a pair of dirty neurofunk beats to add to the label’s already healthy catalogue. Helvetica drops in with a fierce set of bassline modulations and great use of space, each of the elements being allowed to breath for impact despite the pace and heft of the tune. Detuned continues the trend with another huge drum line featuring some dangerously metallic snare impacts sure to carve up the dancefloor. Check out the clips below and grab this one on vinyl and digital now! Teddy Killerz latest release sees them take their foot off the gas slightly compared to the face melting material they’ve built a rep with, but that’s not to say this EP is lacking in teeth, just imbued with a little more subtlety. Big Blow kicks things off with a nice combination of classy piano and slow drum rolls on the intro before the main drop kicks in with a familiar D&B impact and some nicely modulated bass. Jackyl & Hyde heads for more familiar territory with MC Coppa on board for the ride but to be honest it just doesn’t have the punch of other Coppa tracks like On Like That or Pocket Full of Drops. Era meanwhile makes great use of atmospherics and heavy techstep kicks and snares for an angular workout. Lastly Una Mattina closes out the EP with a bright, trancey lead, swung beats and a wobbly bassline that it’s difficult not to enjoy. Check out the beats below and grab this on vinyl or digital now! Russian producer Eastcolors follows up his contributions to the ProgRAMmed EPs with a new single for the RAM sub-imprint. Toys shows a great flare for combining dancefloor sensibilities with more musical elements, lush chiming chords taking centre stage on the intro before giving way to clean breaks and weighty sub. Creeper takes things a bit darker with a jungle influenced break and heavier filtered mid-range characterising the tune; this one is definitely the beast to the A-side’s beauty. Check out the beats below and grab the release on vinyl and digital now! 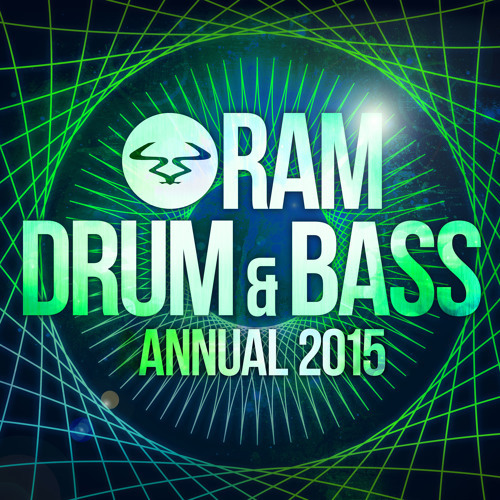 So much great drum & bass has come into the inbox this month, it seemed like a good time for another roundup post! First up, Ingredients have been going from strength to strength with their recent releases. The 29th label release saw them release a quality wee EP in the form of Mis En Place Pt. 1, featuring some great tracks by Villem, Mark Recoil and Foreign Concept, alongside my pick of the EP, dBridge‘s smooth remix of Kodo‘s The Jackal. Not content to rest on their laurels, the label are gearing up for their 30th release with a 12″ from newcomers Ruffhouse, with a very tribal feel to it. Fans of the recent Loxy & Resound album on Exit should definitely have a listen to this. Shogun sister label SGN:Ltd are back with another beauty from Technimatic (formerly Technicolour and Komatic) and as we’ve come to expect from this duo it’s smooth liquid vibes all the way. Unfinished Business leads the release but it’s She Knows It on the flip that really caught my attention. Utopia Music‘s 10th release sees legendary producer Break teaming up with Fields, label owner Mako & Villem on a heavy techy roller. The deep atmospheric intro lulls the listener into a false sense of security before the drop, all clattering toms and low end growl. French label IM:Ltd are back with a new EP featuring a versatile selection of tracks from a number of relatively unknown producers. You can check out the whole EP below; my picks of the bunch are Nuage’s Above Time (a lovely piano lead deep roller) and Atmospherix’s In This Life, which features some beautifully crisp breaks and a warm, simple bassline that proves just irresistible. Critical are back with another deep release, this time featuring collabs with the vocal talent that is Riya. A side Injustice sees Riya teaming up with Sabre for a beautiful deep roller while the b-side switches production to Foreign Concept for an autonomic style melancholy half stepper. Essential purchase as usual from the Critical stable! RAM‘s new sister label ProgRAM are back with another chunky dancefloor number from Kove in the form of Iodine/Open Ground which does the business exactly as you’d expect. Last but not least, Lifted sister label Breed 12 Inches are back with an absolutely phenomenal release from Memtrix, who at the young age of 16 is already setting the world of drum & bass alight. Mind Control and Slipper both deliver some seriously heavy neurofunk business…one to watch for 2013, definitely big things coming from this guy!